Place the slices of Mortadella Bologna PGI on a flat surface and fill them in the center with stracciatella forming a small circle. Add chopped chives, EVO oil, a pinch of salt and pepper. 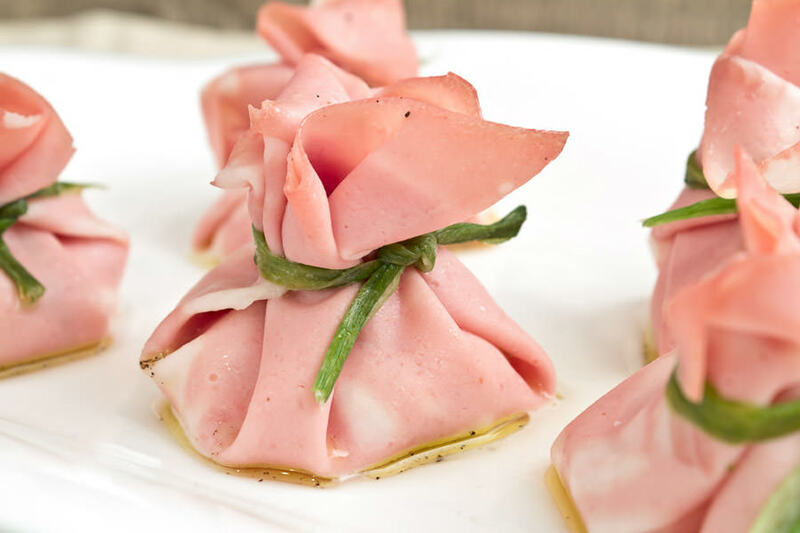 Shape some bundles, closing the slices of Mortadella Bologna PGI and tie them with the leaves of chives. Garnish with EVO oil and serve.